TWELVE months ago, Liverpool FC looked to be on course for their first Premier League title, and Brendan Rodgers was set to enter the club’s pantheon of managers that had taken the Reds to top flight glory. A year later, and the Merseyside club are in relative disarray and despite Manchester United’s defeat at Everton, the Reds remain outsiders for the top four. We’ve seen shambolic performance in the Champions League, Rodgers’ failure to win a trophy, making him the first Liverpool manager ever to miss out on silverware in all of his first three seasons at the club, and the faltering league form against better opposition, picking up just four points from seven games against teams above them in the league. With those issues in mind, they are bound to make changes in the upcoming off-season, but who is set to depart? With just one goal in seventeen appearances this season, Fabio Borini has failed to live up to the expectations he set himself by refusing to go back out on loan at the start of the campaign. Given Liverpool’s well documented issues up front, mainly with Daniel Sturridge’s plethora of injury woes, it is a sign of Borini’s value at the club that he has only made those seventeen appearances for the Reds this year, and he is likely to be shipped out in the summer. Given his £90,000 per week wage packet, the England full back is unlikely to be involved at Anfield next season, and is failing to live up to his peak performances from seasons past. With his contract coming to an end in the summer, Johnson has already been linked to a number of clubs, most strongly with AS Roma, with his agent failing to dampen rumours of the move. It isn’t unheard of that a veteran English defender moves to Italy, and if Johnson were to go, he would follow in the footsteps of Ashley Cole and Micah Richards. However, neither of them have managed to nail down a regular place in their sides, and as such Johnson may be worried that he won’t be able to turn around his career. Having joined the club in 2007, Lucas Leiva is one of the longest tenured players at Anfield, but with a chequered injury past, the Brazilian midfielder has struggled to find the form he once promised, and no longer demands a spot in first team. With recent links to Inter, there is a strong likelihood that Leiva, who has made sixteen appearances in the Premier League this season, is on his way out of Anfield. Lambert’s fantastic form last campaign earned the former Southampton forward a big money transfer to his boyhood club, but much like a similar move that Robbie Keane made half a decade ago, it looks destined that Lambert’s dream will fall through. 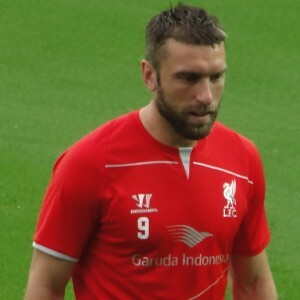 Lambert seems to have suffered the same fate as Fabio Borini, having failed to secure a spot in the first team throughout a season soiled with problems for the Reds. The striker may not be the biggest value piece that Liverpool can offload this summer, but having been linked this week to a deal with Crystal Palace as part of an exchange for Yannick Bolasie, expect Lambert to be playing elsewhere next season. The Spanish full back has made just eighteen appearances for Liverpool in the past two seasons, mainly due to a raft of injury problems, whilst finding himself behind Alberto Moreno in the pecking order at the club. Moreover, Enrique looks to have passed his peak, and is on course to depart Merseyside this summer, especially if a new manager comes into the club. FSG let Rodgers go before it get late LFC thanks. Why isn’t that Sunday league player ( BACK PASS Allen ) not on this list…HE HAS TOO BE THE WORST MIDFIELDER EVER TOO GRACE ANFIELD,3 YEARS THAT TOOL HAS BEEN HERE AND HE HAS OFFERED NOTHING !! !